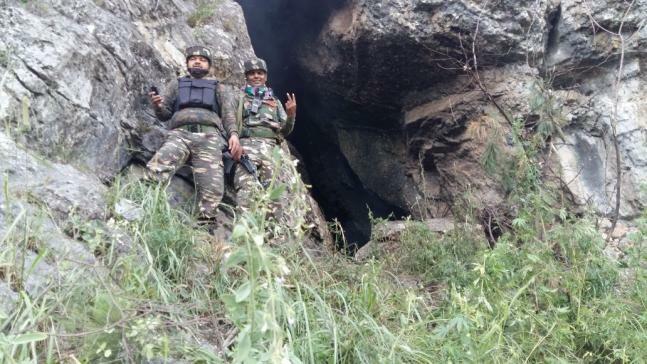 Security forces on Sunday issued pictures of the location where an encounter with militants of Pakistan-based Jaish-e-Mohammad terror outfit took place in Tral, Jammu and Kashmir on Saturday. 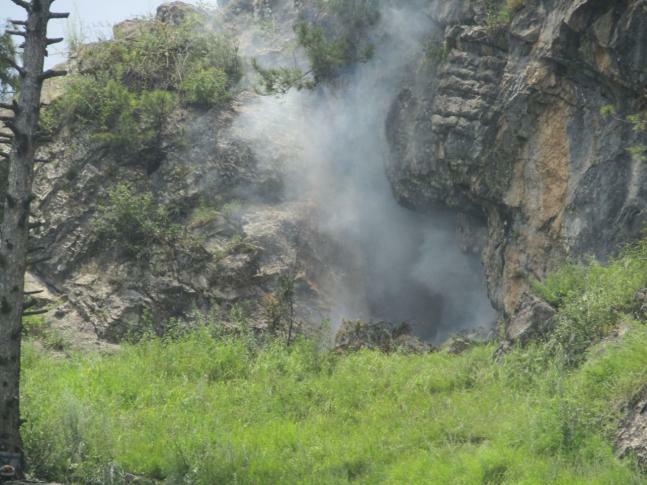 The pictures show the cave where terrorists took shelter during the encounter. 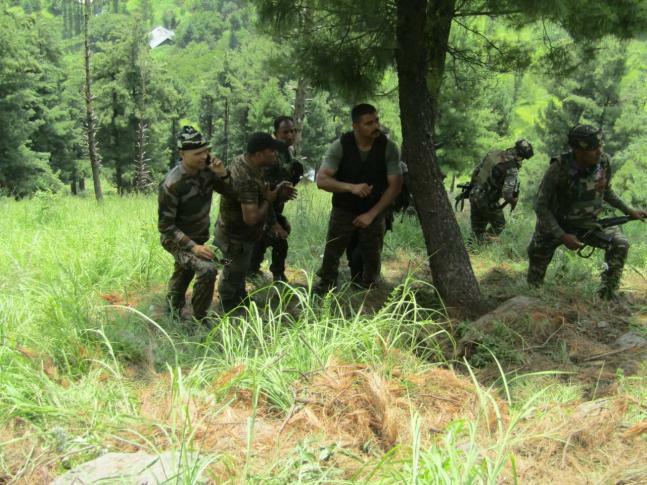 Three terrorists of Pakistan-based Jaish-e-Mohammad (JeM) outfit were on Saturday killed in an encounter with security forces in a forest area of Tral in Pulwama district of south Kashmir, a police official said. 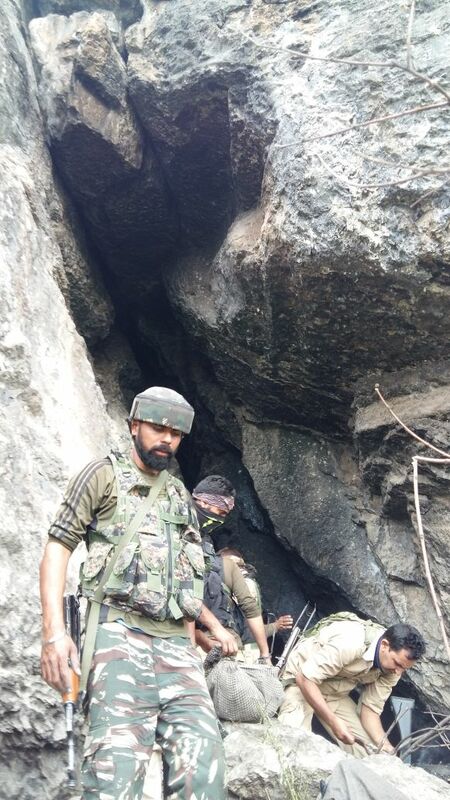 While two of the militants were killed on Saturday morning, another took shelter inside a cave and was finally killed after several hours of gunbattle in Tral, about 36 kms from Srinagar, the official said. 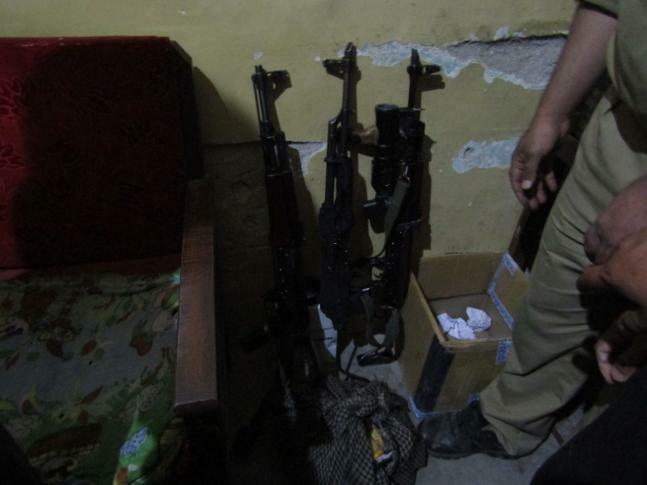 He said bodies of all the three militants and their weapons were recovered from the scene of the gunbattle which started early this morning when security forces launched a cordon-and-search operation after receiving an information about the presence of militants there. 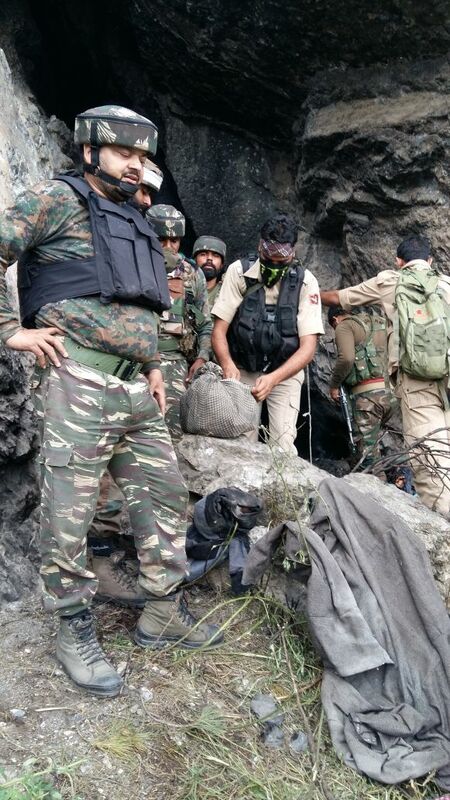 He said though the identity of the deceased militants was being ascertained, they belonged to JeM outfit. “The killing of the militants is a major setback for the outfit which is trying to revive its activities in the valley,” the official said. He said security forces faced stone-pelting during the operation but exercised maximum restraint while dealing with it. Some people indulged in stone-pelting and tried to march towards the encounter scene to help the militants escape but were chased away by the security forces, the official said, adding there was no report of any casualty among the civilians.